Russia has offered to select Indian astronauts for the ‘Gaganyaan’ mission - India’s first manned mission in space. According to ISRO officials, our astronauts will most likely be trained in Russia's Yuri Gagarin Cosmonaut Training Centre in Star City outside Moscow. 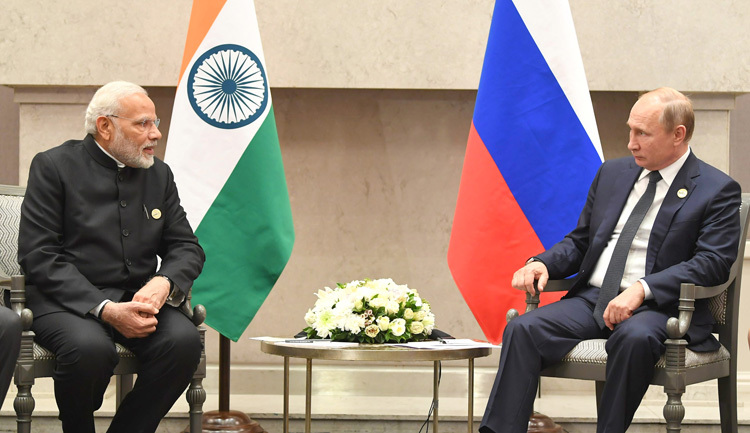 Both countries are also working to identify greater synergy in trade and investment, energy security and nuclear energy; supply of LNG from Russia is under the long-term agreement between Russia’s Gazprom and GAIL, Indo-Russian cooperation is also significant for facilitation of the International North-South Transport Corridor (INSTC) which shortens the transit time between Mumbai and Europe through Iran, Armenia, Azerbaijan and Russia. 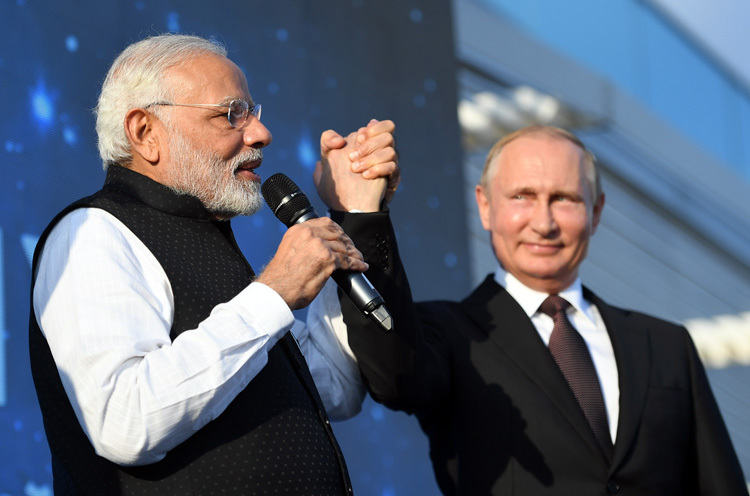 The scope for India and Russia to innovate solutions across multiple solutions including revival of soft-power quotient and collaboration in innovative technology and connectivity projects in backdrop of dynamics of geopolitics was discussed at a recent seminar in New Delhi which recommended: Russia taking the lead in ‘Make in India’ - which Russia has been wanting anyway; creation of connectivity corridors and payment in national currencies, as was practiced in the past; cooperation in reforming international financial institutions, energy regimes in Eurasia, climate change, countering double standards of human rights, countering interference in internal affairs, cyber security and peaceful use of nuclear energy; exploiting soft power drivers of bilateral relations and use of Indian students in Russia as integral part of discourse for giving new thrust to bilateral relations; Indo-Russian participation in Arctic Circle; creating Major Mission project for Deep Ocean Manned Submersibles; cooperation with Russian skilling in cyber technologies; Cooperation in Russian Far East, modernization of Chennai port and Chennai-Vladivostok maritime route through SCS, sourcing raw materials and minerals; cooperation in Western Indo-Pacific, maritime security, countering terrorism in Af-Pak and Blue Economy cooperation; public diplomacy and image building in India in Larger Eurasia including to counter the China’s BRI public diplomacy. Clearly the Indo-Russian 'Special and Privileged Strategic Relationship’ has unlimited scope to expand.